The PDMRO is made up of 7 civilain Mountain Rescue teams from around the Peak. Additionally there are close ties with SARDA England, and Derbyshire Cave Rescue. The team was formed in 1964, after a tragic accident when three scouts died in a blizzard whilst attempting the 4 Inns Walk, a 50 mile hike over some of the Peak District’s most challenging terrain. We had no premises, met in a pub in Buxton and used borrowed equipment to deal with a handful of call-outs a year. Today, the team is a highly efficient unit of around 60 members dealing with 80+ calls per year. We can claim to be one of the best-equipped and best trained teams in the country. The one thing that has not changed: we are all still volunteers who enjoy what we do and are proud to be a part of the team. The Team’s history can be traced back to a tragic event in March 1964 when three Rover Scouts died during a race walk called the 4 Inns, whilst crossing Bleaklow Moor in the Peak District. All three died as a result of hypothermia, one barely a quarter of a mile from the road. At this time rescues were organised on an ad-hoc basis and often with locals and the Police making their best efforts in difficult situations with minimal gear. Derby Mountain Rescue Team was formed as a direct result of the 4 Inns tragedy and originally consisted of members of the 51st Derby (St Lukes) Rover Scouts who were keen on walking and climbing. The Team remains closely involved with the Scout Association to this day and is Operational throughout the 4 Inns walk, which remains a popular annual event. Over the years, Derby MRT has been involved in many rescues both inside and outside the Peak District including North Wales, The Cairngorms and California! The Team also assists in Lowland searches when the particular Police authority thinks our search skills would be of use – many times with excellent results. 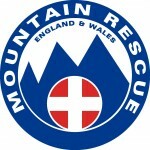 Edale Mountain Rescue Team (EMRT) operates within the UK’s Peak District National Park as well as the rural areas of South Yorkshire and Derbyshire. We operate from our purpose built Headquarters within the LaFarge Cement Works at Hope. Whilst we primarily work for the Derbyshire Constabulary we are also called to assist South Yorkshire Police, East Midlands Ambulance Service and the Yorkshire Ambulance Service. This also means we work frequently with a number of Air Ambulance Organisations but particularly the Derbyshire, Leicestershire, Rutland Air Ambulance, the Yorkshire Air Ambulance and the Nottinghamshire and Lincolnshire Air Ambulance. Due to the large number of outdoor activities carried out within our area, coupled with the high number of visitors/participants, Edale Mountain Rescue Team is one of the busiest mountain rescue teams in the country. Since the beginning of 2000 team members have been involved in over 900 incidents. These incidents have occurred whilst people have been partaking in nearly every outdoor activity possible on dry land or in the air; walking, climbing, fell running, mountain biking, horse riding, trials biking, hand gliding, paragliding, fixed wing gliding and even fishing. We also assist the police in incidents where our skills can be utilised in more rural locations. These predominantly involve searching for vulnerable people that have gone missing for various reasons and whose disappearance has cause concern. Edale Mountain Rescue Team members were also heavily involved the flood rescue operations in Sheffield during July 2007. Glossop Mountain Rescue Team (GMRT) provides a rescue service in the Peak District National Park. Dealing with incidents both on the hills and within the community of Glossopdale. We are a self-funding team of volunteers offering a vital service to those needing our help in the hills and surrounding area. OMRT was formed in 1964 in response to the tragic loss of three Rover Scouts who perished whilst competing in the 4 inns challenge. Over the past 50 years OMRT, funded entirely through donations has been on hand to help those in difficulty in the beautiful but challenging Dark Peak. OMRT have come a long way in 50 years, our equipment and practices have developed through experience and technological advances but at the core we still rely on a team of dedicated volunteers and DONATIONS. Without public support we simply cannot operate. We are called upon by all the emergency services 24hours a day, 365 days a year with members responding to call outs at a moment’s notice (most of whom have full time jobs, all of whom are volunteers). Hamish MacInnes team leader of Glencoe Mountain Rescue Team, attended an International Red Cross Search Dog course in Switzerland. They were training and assessing avalanche search dogs. He saw the potential for using dogs to search for lost walkers and climbers within the UK. On his return to the United Kingdom. Hamish started training his two German Shepherd’s Rangi and Tiki. In Dec 1964 a training course with Mountain Rescue Members from throughout the UK was held in Glencoe, encouraged by this course, and the potential shown by the dogs. A meeting was held in May 1965 and SARDA was formed. SARDA initially covered the whole of the UK. By 1971 it had become devolved into Scottish, English and Welsh associations. Further developments led to the modern day, with the present formation of Associations: England, Lake District, Ireland North, Ireland South, Scotland, South Wales, Southern Scotland, Wales and Isle of Man. 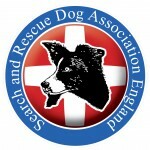 The National Search And Rescue Dog Association (NSARDA) was formed to represent the associations at a national level with other National Authorities. D.C.R.O. was formed in 1952 by local cavers and it is now one of the fourteen voluntary organisations in the British Isles who provide the Police with an underground search and rescue service. To date DCRO has been called over 330 times and has gone to the aid of more than 400 people and around 50 animals. The number of callouts per annum fluctuates quite a lot, but the average is around half a dozen.